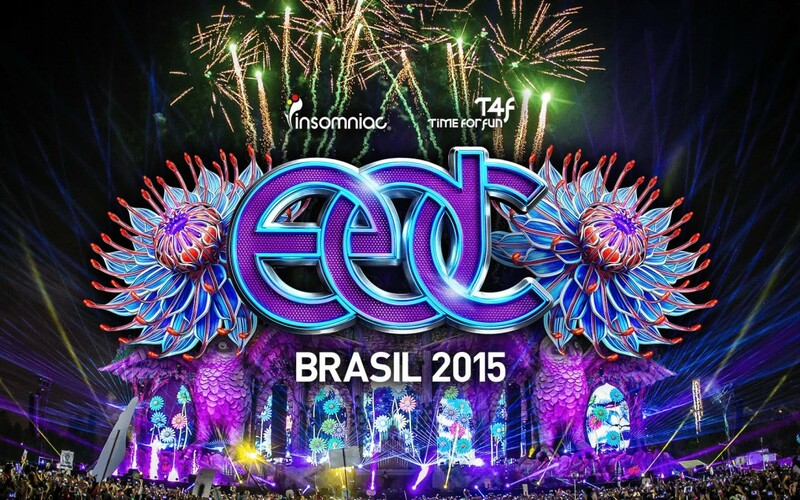 Love in the Fire joined forces with Skyfire Arts to create amazing performances for EDC Brasil. 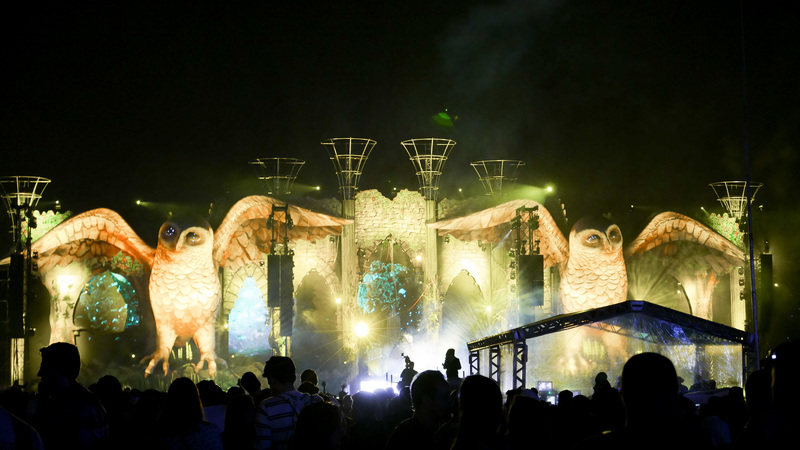 Electric Daisy Carnival is a spectacular event bringing together millions of EDM followers from around the world with productions that started right here in Los Angeles’s Coliseum. 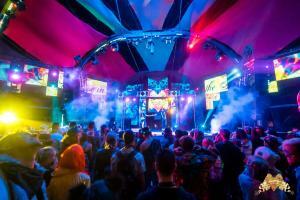 They now have events and performers in New York, Mexico, Las Vegas, United Kingdom, Puerto Rico, and more locations popping up every year as the originating crew of Insomniac (founders of Nocturnal Wonderland, ESCAPE, and Beyond Wonderland) are continually taking the ravers principle of PLUR on a worldwide crusade!!! 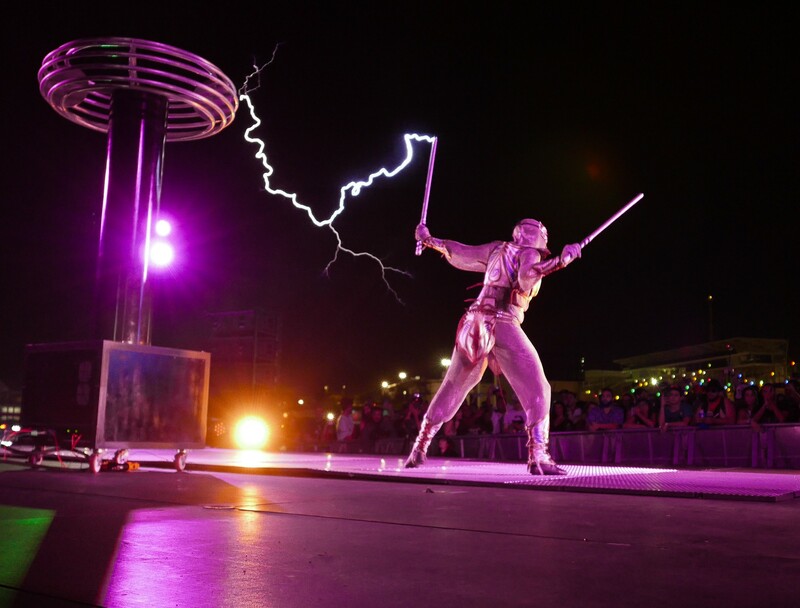 Skyfire Arts brought on Lester and Samantha to perform in their handcrafted Tesla Coil Performance using a quarter million volts of electricity to wow the audience in ways never before imagined! Founder of Skyfire Michael Tam Ravenwood has worked on this idea for nearly a decade as what was once just a dream of his, is now nothing short of a reality as new team members come on board filling in all the voids that once existed. 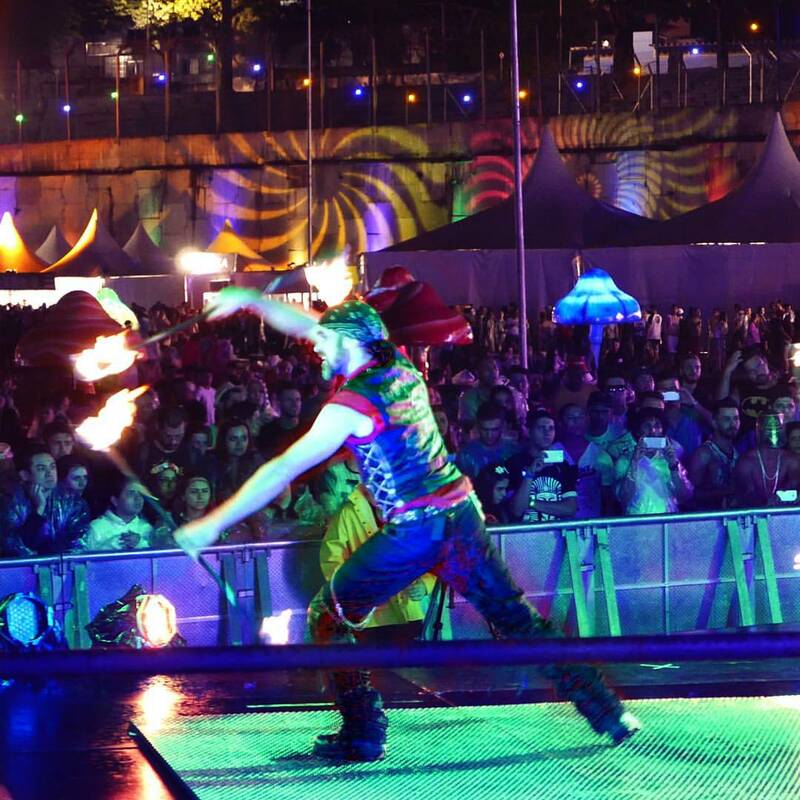 Now after performing in 3 different countries last year alone and making their debut for EDC in Las Vegas earlier in the summer, Skyfire Arts is well on their way to becoming one of the top performance troupes to keep your eye on in 2016 and beyond. 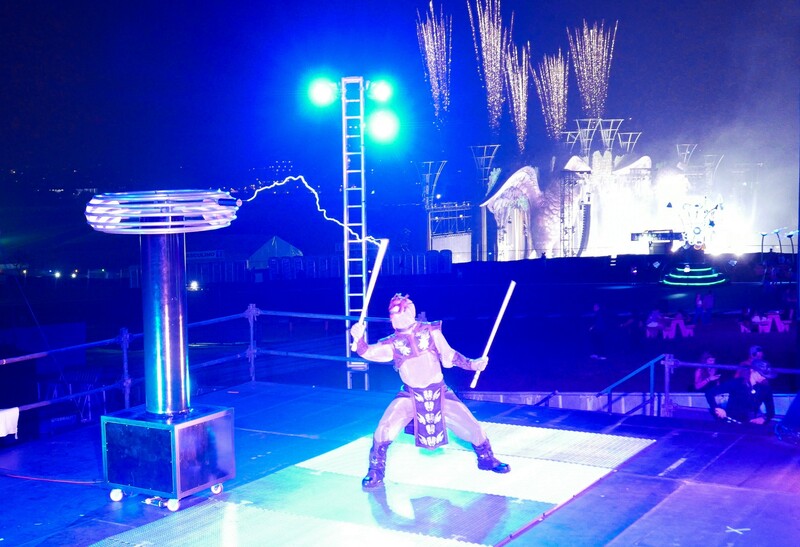 Founder of Skyfire Arts Michael Ravenwood Performing with the high voltage of the Tesla Coil at EDC Brasil. 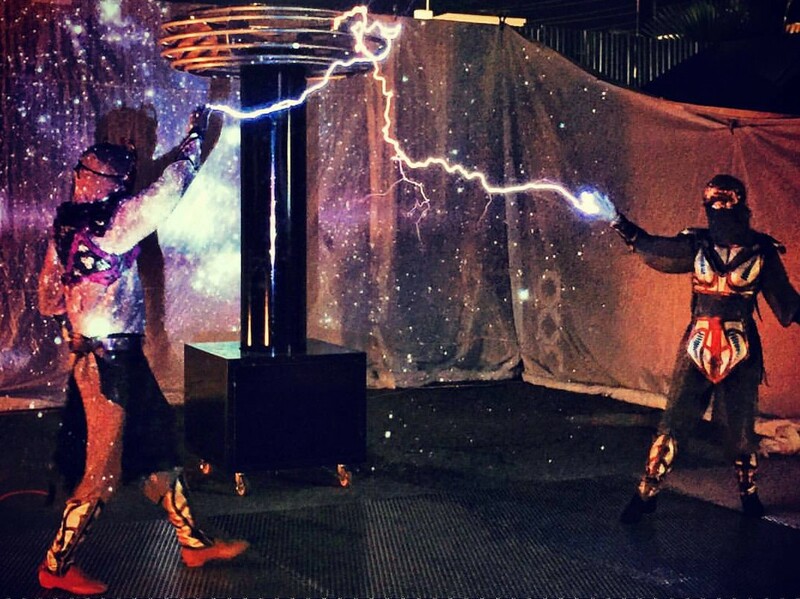 For what you could call a perfect first night of performances in the tesla coil world (plenty of hiccups, staying up till 5 am the night before working out the kinks, loosing a few pieces of the show due to technical difficulties, and scrapping 70% of our choreography) we were in for quite the surprise for the second night as we were blessed with a brasilian down pour and had to move our focus to the “Rain Dance” scenario or in laymen terms “Plan B”. 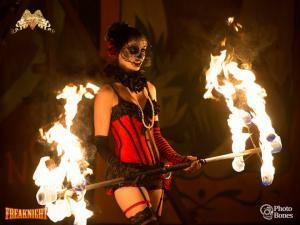 We switched over from lightning dancers to fire dancers and performed 8 solid fire shows for the evening! 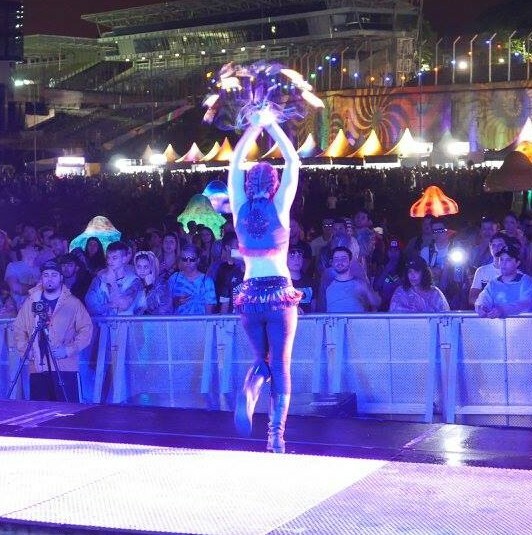 It was quite fun and a bit of a treat to perform what we were already so used to performing. 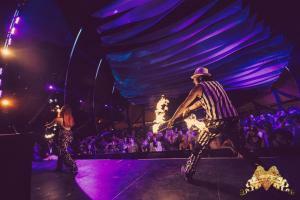 On behalf of Love in the Fire we are extremely grateful for this opportunity to perform our hearts out with such a dedicated and talented team! 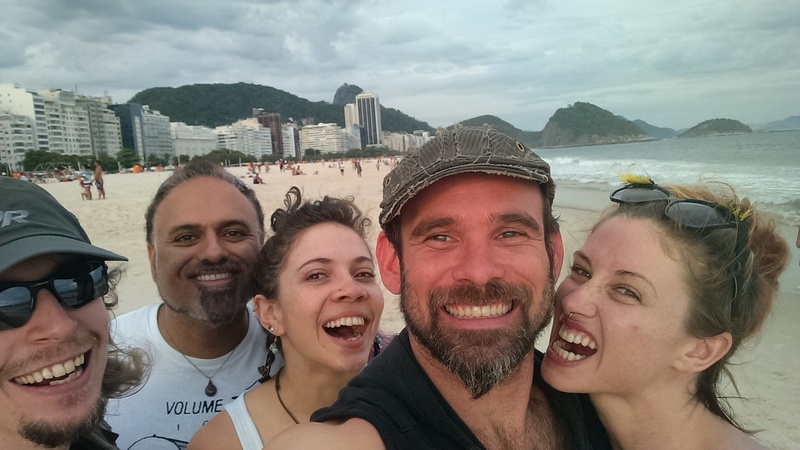 After 3 days of 5 pm to 5 am call times we decided there would be no better way to relax then to get out of the gridlocked city of Sao Paulo (worst traffic we have seen and we are from Los Angeles) and fly up to the beautiful beach metropolis of Rio De Janeiro for 7 days of tropical vacation!!! And nothing spells that out like an umbrella drink on Copacabana! 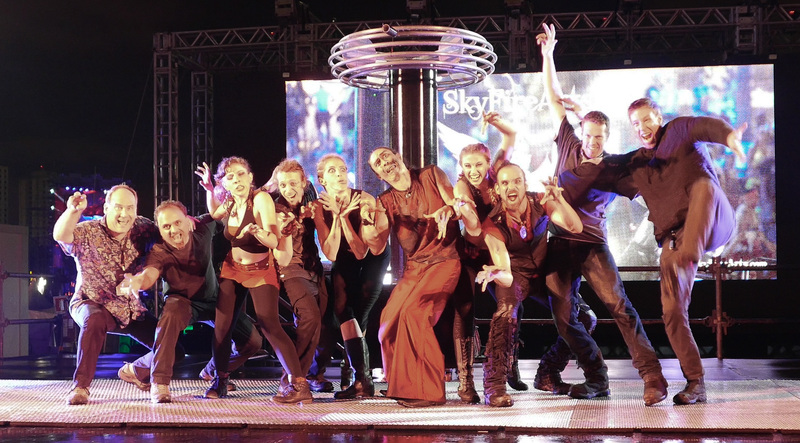 From Sao Paulo and Rio De Janiero Brasil Team Skyfire is signing off! Love in the Fire thanks each and every one of the team members who made this trip possible and can’t wait to see where 2016 takes us next!! !